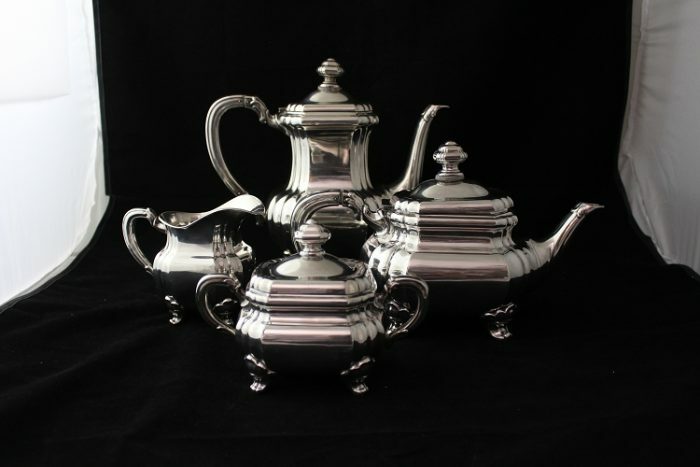 This is a sterling silver holloware set that comes with a coffee pot, a teapot, creamer, and sugar dish with lid. They all showcase an old French design and stand on four feet. The sugar bowl has multiple dings and the teapot has some scuff marks.